Finals are starting next week. The kids are bouncy, I'm bouncy. It's June. Light and honeysuckle and snow peas. Horseshoe crabs dancing their 200 million year dance under the Strawberry Moon. With the light comes ecstasy, and not just human. We have more energy than we can use at the moment. June. Time of Áine. Light, love, life. 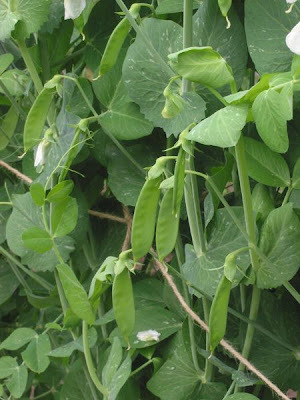 Eat a fresh snow pea, no more than a few minutes off the plant, then chase it with a str awberry still warm from the sun. Both are ridiculously easy to grow here in New Jersey. This is a reminder to me to have the students plant both next spring. 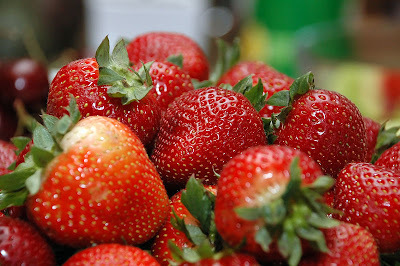 The snow peas are by Rasbak;the strawberries by ShakatGaNai. I know how you feel about finals! The excitement is in the air and everything. I wanted to let you know about a website I found http://applebatch.com. Applebatch is a teacher network site that allows teachers to come together in an online community and share resources. You should check it out. Tossing a couple of nice words then pretending you found a website is disingenuous. On the other hand, perhaps you meant you "founded" Applebatch, still tacky, but less so. You can improve your chances of getting seen by using "a tag" links to your blog--saves us a step. Finally, if you want to be disingenuous and drum up traffic this way, you'd best post on the later posts--few folks look at anything older than a day or so.